Menopause symptoms usually occur in women between the ages of 45 and 55. Hormone replacement therapy (HRT) is an artificially engineered treatment for menopause symptoms that is a possible alternative to the host of the natural alternatives that exist. Since women approach a mature stage of life, their ability to reproduce estrogen falls. A shortage of estrogen can lead to a variety of menopause symptoms including mood swings, loss of libido, insomnia, and night sweats. HRT boost estrogen levels in women's bodies. It works by introducing artificial hormones into the body. HRT is considered one of the most efficient treatments for menopause symptoms, but this treatment entails a certain degree of risk. The change in the natural balance of the body's chemical makeup can cause dramatic symptoms, but introducing artificial chemicals through HRT in order to correct such a deficiency can also cause its fair share of problems. HRT is used by many menopausal women across the world to treat their menopause symptoms. However, studies have found that HRT comes with a range of side effects which can be dangerous to a woman's health. For this reason, it is advised that women consider all of the alternatives to hormone replacement therapy before they consider this invasive method of treatment. HRT can lead to complications with blood clots and has been known to increase the risk of developing breast cancer. What Are the Alternatives to Hormone Replacement Therapy? HRT is often seen as the most invasive, last option for menopausal women who are seeking respite from symptoms such as depression, vaginal dryness, and digestive problems. Many of the menopausal symptoms can often be avoided or made less severe by subtle lifestyle changes and it is these changes that many medical practitioners will suggest in the event of menopause symptoms manifesting. Women afflicted with menopause symptoms often use phytoestrogenic supplements for assistance. 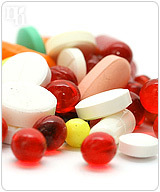 In recent years, the use of herbal supplements has become significantly popular. Phytoestrogenic function similarly to HRT, but without some of the more harmful side effects. 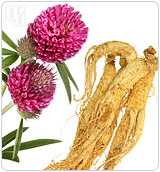 Herbs such as red clover and ginseng function by introducing plant-like estrogen into the bodies of menopausal women. These herbs can provide noticeable results in women experiencing menopausal symptoms. Hormone-regulating supplements are capable of carrying out a similar function, but do so without any of the harmful side effects. Despite their increasing popularity and fewer health risks, phytoestrogenic supplements are generally not thought to be as effective in the fight against menopause symptoms as HRT.